I have a confession. I'm a bit addicted to planners. I have mentioned this before. 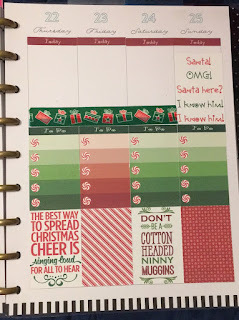 I have even done blog posts on creating my own planner. Thankfully, I have discovered a couple of great planners that work for me. I use a Passion Planner for school. I use a MAMBI Happy Planner for home and as a memory book. You can see how I use them on my Instagram page (along with cute pictures of my girls and my dog). Earlier this year, I bought myself a Silhouette Portrait cutting machine. My sole purpose of buying one was to create my own stickers for my planner. While I love the Etsy Shops I use for stickers, owned by ladies who have become real-life friends, I was spending way too much money on them! I am all for supporting small businesses, but I had a problem. So here is one of my sticker sets I've made. 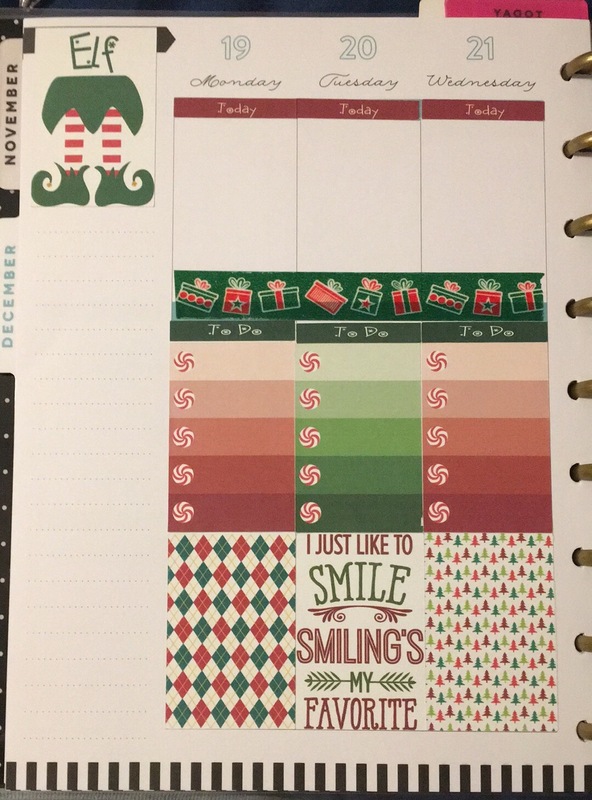 I've made a couple others with different themes, including Care Bears, but this one was a hit when I shared it with planner groups online. Use the link at the bottom of the post to download! 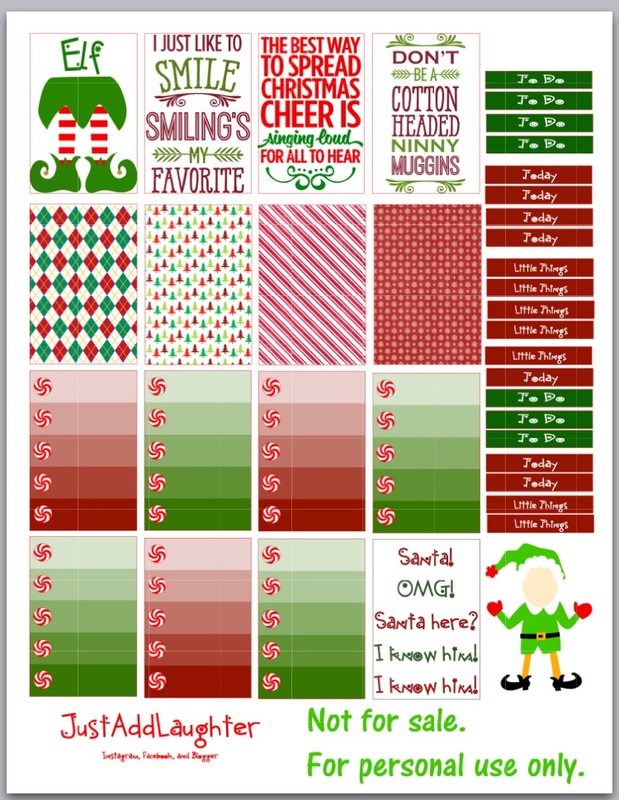 I have created this as a free download. It is for personal use only. If you would like to share it with your friends, please send them to my blog so they can download it themselves. 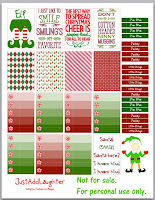 They are designed for The Happy Planner, so they are a little taller than Erin Condren boxes. One user trimmed the To-Do boxes and turned the extra piece into a flag. The possibilities are endless. If you use Instagram, please tag me in your picture! I would love to see how you have used it! 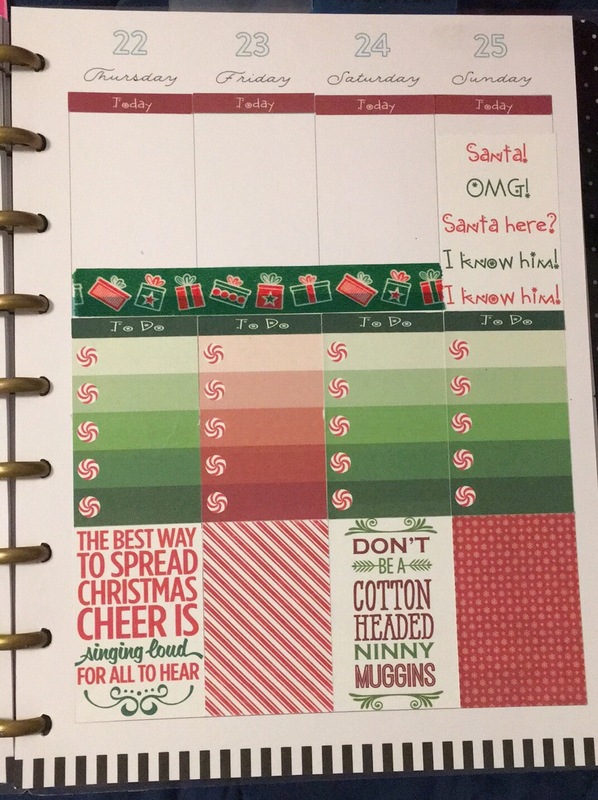 Here is how it looks in my planner. I goofed and forgot the headers above the full boxes. 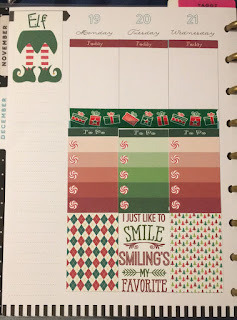 Thankfully, I had Christmas Washi to fix the mistake. I am off work the week of Christmas, anyway, so I don't foresee a large amount of things scheduled. I can't believe it's been almost a year since my last post. This year has flown by, and it's been insane. Summer 2015 started with Big Sis leaving to go live with her dad. She started her freshman year without me, but seemed to have fun and she made some new friends and got to enjoy living in the Bay Area. School started in August 2015 with Little Sis starting middle school as a 6th grader. I continued to work at her school (previously Big Sis' school) as an instructional aide. I also went back to school to finish my Associates in Social and Behavioral Science. My goal is to transfer to CSU San Marcos for my bachelor's and my teaching credential. The school year flew by, and the next thing I knew, Big Sis was set to move back home. The deal was that she would spend the whole year up there, but she had to keep her grades up. Unfortunately, she wasn't able to keep her Biology grade up to standard - she never has been good at the hard sciences. On my trip to pick her up, I met up with a friend and we both decided it was time to start eating better and getting active. On June 29, I officially started my weight loss journey. I've been tracking my food consistently since then (well, technically, since before then), and in the process, I have lost 16 pounds. In August, I decided to get my body fat measured and received some tips on how to manage my macros - protein, fat, and carbohydrates. I am still working on how to fit in the foods I like to eat into my numbers, but I am getting there. I am hoping to use this blog now as a way to focus my efforts, share and receive some helpful tips, and keep a running record of my progress. Here is one of my NSV. I was shocked when I saw the difference! Girl Meets World tonight focused on the topic of bullying. Bullying is talked about so much these days, that any little slight against a student is labeled "bullying." However, bullying is so much more than children picking on each other, as children tend to do (I'm not condoning this, and I'll come back to it). Bullying is the use of power over another person; repeated actions that cause another person to feel inferior or weak. In the words of Cory Matthews, "A bully isn't someone who says something you don't like. A bully is someone who uses power and intimidation to hurt others." 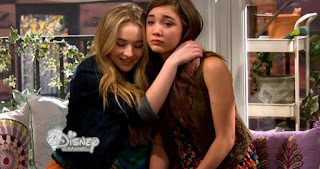 My 10 year old and I watched "Girl Meets Rileytown" tonight. She kept asking, "Who is Riley's bully?" and when Riley finally confronted her bully, with the whole school behind her, Little Sis was upset we didn't learn who the bully was. I explained that Riley's bully didn't have a face because bullies all look different. Each one has their own face, and each person who is bullied needed to be able to see their own bully there, being confronted by Riley. Sadly, a bully is usually the victim of their own bully, someone who doesn't lift them up, who seeks to belittle them, so they feel they have to do the same to someone else to feel good about themselves. I've seen it many times, from little preschoolers to high schoolers. Honestly, a bully doesn't necessarily need someone to stand up TO them - they need someone to stand up FOR them. So while we're talking about students who are bullied, let's not forget the ones who are hurting so much that they feel the need to hurt someone else. This behavior is learned. Punishing a bully does nothing but continue to perpetuate the situation. Their victim stands up to them? They'll find someone else until their own hurt is addressed. Again, I'm not saying bullying is acceptable. I totally agree that we need to stop all forms of bullying. Not only do we need to encourage our children to stand up for the victim, but we need to teach them how to be a friend to those who may not be the most likable person on campus. We need to teach our children to be positive toward everyone, set the example on how friends are supposed to act. It will take time, but it can be done. Behavior modification is hard work, but if everyone is involved, it is well worth the time. As far as children picking on others, this is where adults need to step up their game. I hear so many parents using "endearing" terms toward their kids that, if said to an adult, would get them punched in the face. Why are we teaching our children that it's ok to call people names by using these words toward them? If we hear children calling other kids ANY name that is not positive or uplifting, we need to give them the vocabulary and have them try it again. They may not KNOW how to "play nice." They may not know HOW to be a friend. WE have to teach them, even at 11, 12, and 13 years old. Trust me, I know. There is no "kids being kids" ... we need to change it to "humans being humans" and set the example for them - even if they're not your children. So come on, adults! Let's be loving, joyful, peaceful, patient, gentle, kind, and show self-control. Life is going to throw us curve balls, but let's show the kids the right way to handle it! If we're going to make lemonade from those lemons, we're going to need a little sweetener! Egg Rolls and Stir Fry! Visit Jaime Heath's profile on Pinterest. Looking for Products to Review, Sponsors and Giveaway Prizes! FREE One Year Subscription to Martha Stewart Living Magazine + More! Konsultan SEO Untuk Bisnis Anda, PERLU!! Not Much of a Tail.